There is nothing like a great car wash. You get into your car and everything has been dusted, scrubbed and polished. You feel like a million bucks as you drive away. There are a few great car washes around our auto shop in San Jose. First, let’s look at some tricks you can use between washes. There isn’t always time in the schedule to take the car into the car wash, so here are some tricks you can do at home. You’ll save a little money, a little water for California and keep your Saturday for things that are more fun than sitting at the car wash.
You’ll never want to scrub this off. The trick professionals use is to rub it with a fabric softener dryer sheet. You know, a Downy sheet! Rub it on and it instantly melts that tar off. Wash off the residue. Clean the wheels and tires with a nonacid cleaner or degreaser before washing the car body. If you get any of the wheel cleaner on the body then it’ll get removed in the body washing. If you’re on the road and forgot to clean the windows, there is no problem. Break out those baby wipes from the glovebox and use them to get windows sparkling clean. 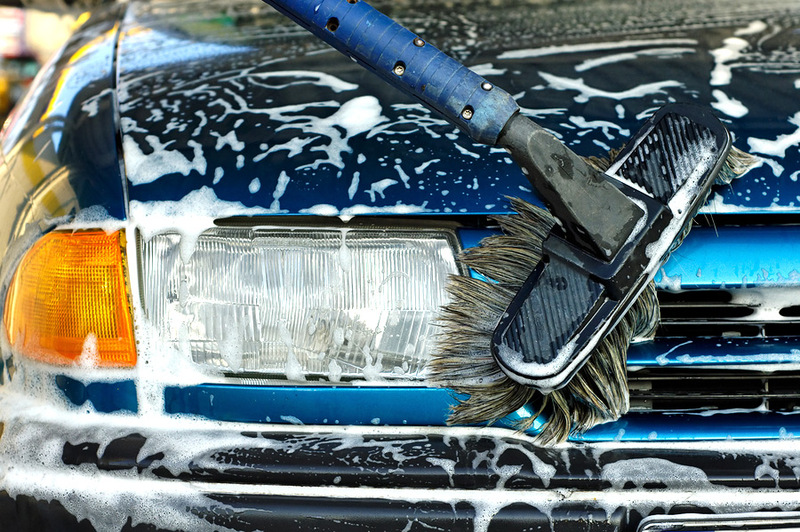 We hope these tricks save you a trip to the car wash now and then. Remember to stop by Reliant Auto Repair whenever you need an oil change or repair.